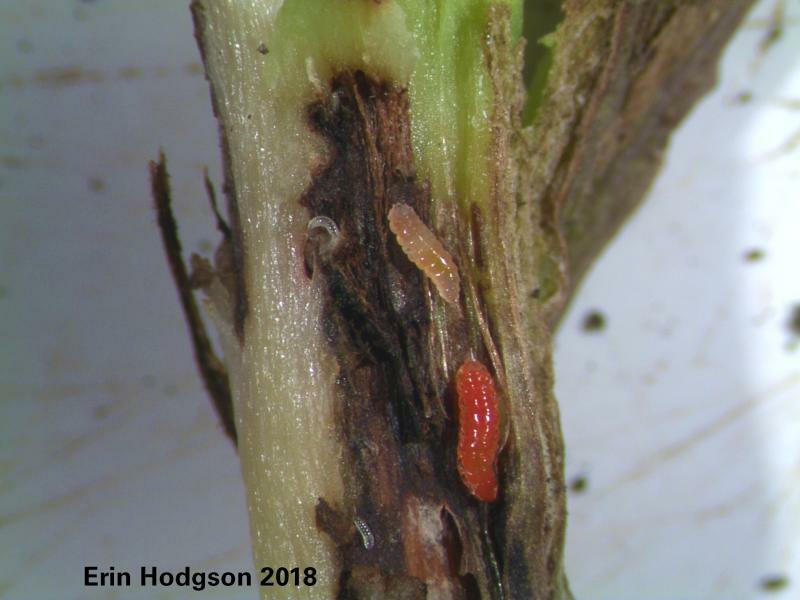 The rapid explosion of a newer pest — the soybean gall midge — gave plenty of soybean growers a huge headache this past year. The tiny (1/4-inch) flying pest was found in 65 counties on the western edge of Iowa, eastern Nebraska and South Dakota, and a few spots around Minnesota. Syngenta’s Endigo ZC — a pyrethroid and neonicotinoid premix — received an emergency label under Section 2(ee) of FIFRA to control the pest. More products could be labeled this year, but the effectiveness of larval or adult control with any insecticide is unknown at this point, Hodgson says. Yield loss data is still being evaluated, but the heaviest infestations were found around field perimeters. In affected fields, the first eight to 10 rows from the edge were completely dead, with damage fading out toward the middle of the field where yield loss was less than 20%, she says. Damage to small fields built on waterways or irregular shaped fields can be much more devastating. The soybean gall midge is insidious for a couple of reasons. Not only does its long window of mating and laying eggs translate to continuous blight, but it’s the larvae that do the most damage, feeding on the inside of soybean stems where foliar insecticides will not reach. “As it progresses across the summer, it can take yield from 60- to 70-bushel potential down to zero to 10 bushels very quickly along the edge and across the end of the field,” says Hooten. Control options must focus on the adult midges, which aren’t hard to kill, but they also are not the source of the problem, Hodgson says. She cautions against over-spraying. “I’m not sure a heavy foliar insecticide program is going to be effective no matter what people are using. We have no data to support when, where, or how much to use (to control the midge.) My fear is that people will be spraying and expecting good control or knockdown, but we don’t have any data to support that,” Hodgson says. Hooten says FMC is working with various universities to figure out a control measure. 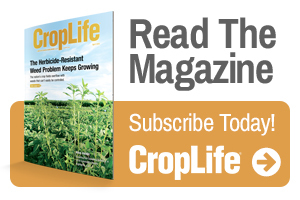 “We’re working as fast as we can to try to find something,” he tells CropLife® magazine. One notable pest that came up in nearly every conversation we had was the stink bug in a slew of species: green and brown (both native to the U.S.), brown marmorated, and redbanded — the latter two of which are invasive. Dr. Christian Krupke, Professor of Entomology with Purdue University, noted heavy green and brown stink bug feeding in Indiana, particularly close to harvest, when beans were in the R6 and R7 stages. It was a trend seen across the soybean belt. Krupke points out that stink bugs differ from pests like the soybean aphid or Western corn rootworm because they aren’t dependent on a specific crop to feed and have a wide host range. 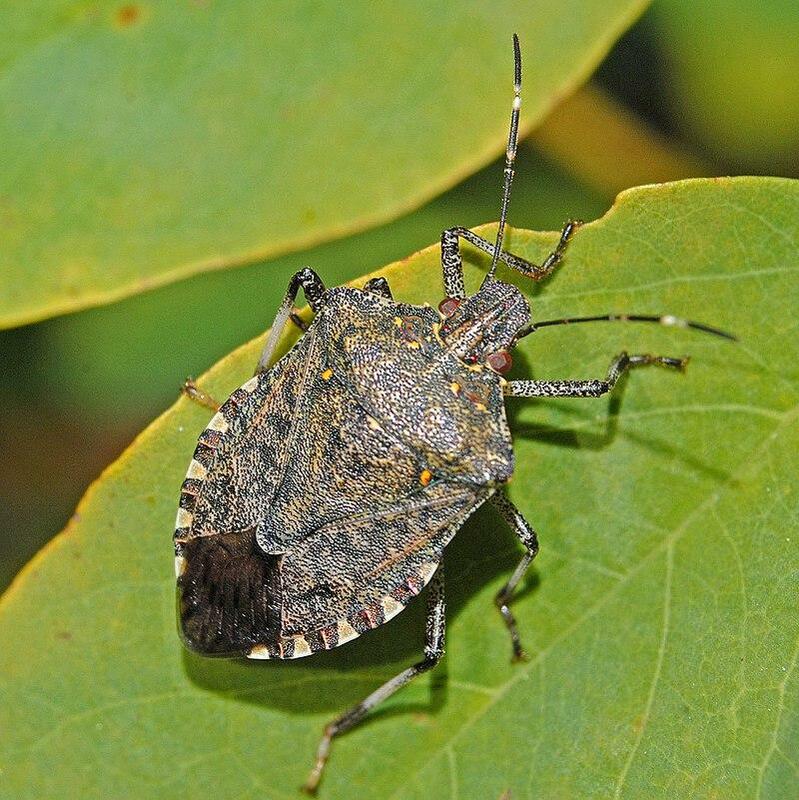 Brown marmorated stink bugs have also worsened in Tennessee in all crops and have started to move into the western part of the state and the heart of ag production, according to Dr. Scott Stewart, Professor of Entomology and IPM Extension Specialist with the University of Tennessee. In contrast, cold weather doesn’t appear to have a large effect on brown marmorated stink bugs, in part because they like to spend winter in homes and other buildings. 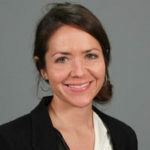 The role of global warming in spreading stink bug populations is noteworthy, BASF’s Bentley says. It’s not only the U.S. that has been affected as the pest makes its way north, but also tropical crop climates such as Brazil. 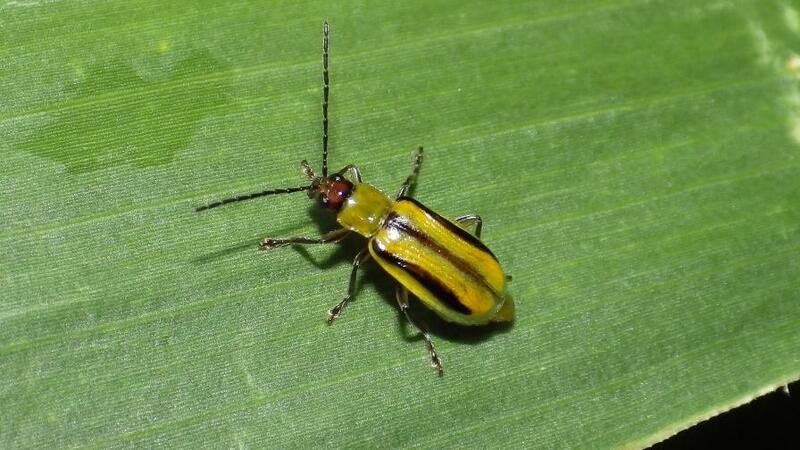 In late October Corteva Agriscience confirmed the first case of Herculex corn rootworm resistance in a single cornfield in Delaware County, IA. “This announcement is significant and troublesome given the potential economic implications for corn farmers, so we are watching it closely,” said Bob Hemesath, Chairman of National Corn Growers Association’s Freedom to Operate Action Team. The specific product involved is Herculex RW (Cry34/Cry35), which is a Bt trait designed to provide season-long rootworm protection for the entire root system to safeguard yield potential. The biotech trait in certain corn seed includes two proteins that control rootworm larvae and reduce adult rootworm beetle emergence. Corteva has reported the development to the EPA, which regulates these Bt traits, and it is working with farmers in Delaware County to limit the spread of this resistance. “It’s unfortunate. That trait was performing the best in our area. 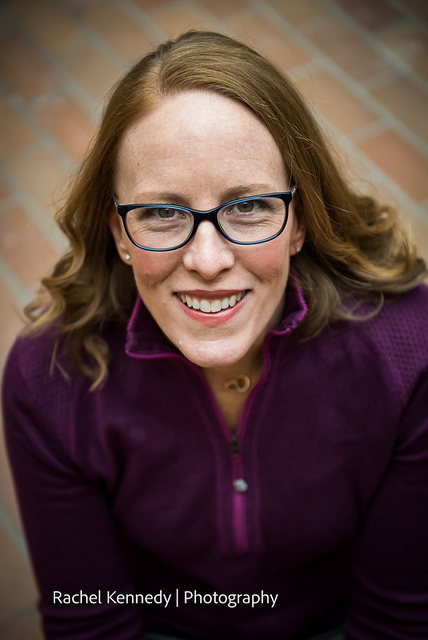 We expect the magnitude of resistance and number of problems to become more intense and increase over time,” Iowa State’s Hodgson says. BASF is launching Inscalis insecticide in 2019. The product targets specific piercing-sucking insects such as the Asian citrus psyllid, aphids, and whiteflies. The AI will be utilized in two unique products, Sefina and Versys. BASF has also submitted a registration application for Broflanilide, aimed primarily at wheat farmers for wireworm control. The AI is being co-developed with Japan’s Mitsui Chemicals Agro Inc., which granted BASF the rights to sell the product in certain markets worldwide. A launch is expected within the next one and a half years, Bentley says. New for the 2019 planting season from Syngenta is a new high-loading granular formulation, Force 6.5G, which is a pyrethroid insecticide (active ingredient: tefluthrin) for corn rootworm control. Force 6.5G is applied at the most common use rate of 2 pounds per acre, slightly more than half as much as the Force 3G formulation it replaces. “That’s half as many bags for retailer customers to handle, haul, and load, and half as much warehouse space required for improved logistics and handling,” says Meade McDonald, Syngenta Insecticides Product Lead. PQZ insecticide from Nichino America Inc. was granted a U.S. EPA label expansion for food crop use. Pyrifluquinazon, the AI in PQZ, is effective on nymphs and adults of piercing and sucking insects and is highly effective in preventing transmission of plant viruses. 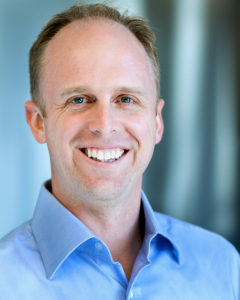 “This new active ingredient broadens the company’s portfolio of novel chemistries for protection of specialty crops,” says Ian Wildey, Director of Marketing for Nichino America. FMC Corp. has recently launched Ethos 3D insecticide/fungicide, formulated specifically for the novel 3RIVE 3D in-furrow application system that converts traditional high-volume applications to low-volume applications through patented technologies. Ethos 3D insecticide/fungicide provides full-spectrum seedling insect and disease protection for corn, soybeans, dry beans, and peas. It combines bifenthrin insecticide with a biofungicide that grows along with the root system to protect against damping off diseases, including Pythium, Phytophthora, Fusarium, and Rhizoctonia. It also provides control of wireworms, grubs, seed corn maggots, and corn rootworms. Thirteen university research trials conducted in Nebraska, South Dakota, Wisconsin, Iowa, and Colorado in 2017 demonstrated that corn treated with Ethos 3D insecticide/fungicide had an average 11 bushel-per-acre yield advantage compared to the untreated check. According to Hooten, the product will help control wireworms and grubs, which is a major issue impacting corn yields.